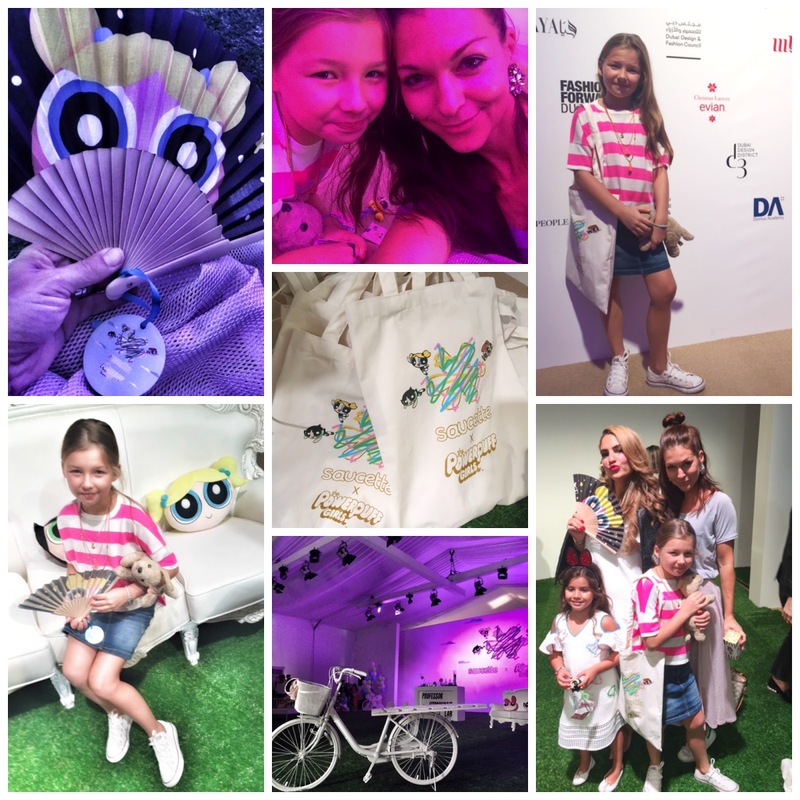 Luella and I played wannabe fashionista last Saturday, we peeked into the world of Fashion Forward Dubai. On the occasion, we got front row view to Saucette, s*uce’s multibrand concept boutique for kids fashion show. Such a fun event! The collection is a fantastic collaboration with Cartoon Network’s hit series The Powerpuff Girls. The Emmy nominated animated series is about three little girls with super powers who fight evil to save the world. 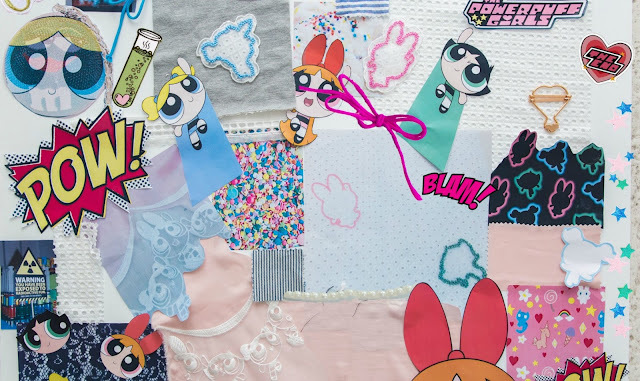 Following the success of the Powerpuff Girls’ collaboration with Moschino, Saucette has been chosen as the first in the region to partner with Cartoon Network. Saucette creative director, and head buyer Zayan Ghandour, has designed a 22 piece collection for girls aged 4-12, as well as a series of mommy-and me styles. The collection is fun and fresh. A contemporary take on the super heroines, featuring cross stitch embroidery on sheer white organza, cold shoulder details, delicate hems and soft ruffles. Was great to see some of Dubai lovely super mamas modelling the collection like Nina Ali from @Lipstickmommy, Amira Ashour from @streetstyledubai, Jumana Al Darkish from @TheHappyBox and many lovely guests enjoying the fun after party. Here's our sneak peek.